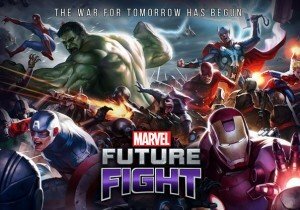 Netmarble Games today announced the release of the first major update for its blockbuster mobile action RPG game MARVEL Future Fight featuring characters from the Guardians of the Galaxy. The update will see the introduction of new heroes and villains, a new mission stage as well as additional in-game features. Looking to enhance the player experience, the new update will see additions to the existing lineup of playable heroes and villains with the entry of Star-Lord, Rocket Raccoon, Groot, Gamora, Drax, Yondu, Nebula and Ronan, in costumes inspired by Marvel’s Guardians of the Galaxy feature film. In order to gain access to these powerful characters, players will need to go through the new ‘Special Mission’ stage where they can work to win items that will help them unlock these new heroes and villains. A huge update came to Immortal Conquest from NetEase today, which changes the global map to offer more strategic depth.